Consider carefully before you read this book! 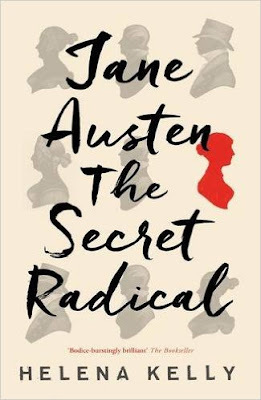 If you are happy reading Jane Austen’s novels as the Regency era love stories that I have always believed them to be, then don’t read this book. It might help you to understand some of the influences that affected Jane’s writings which might lead to a greater enjoyment of her work, but it is also possible that you might not like everything you discover. If you take all Kelly’s ideas seriously, this book could completely undermine the way that you look at some of Jane’s plots and characters. 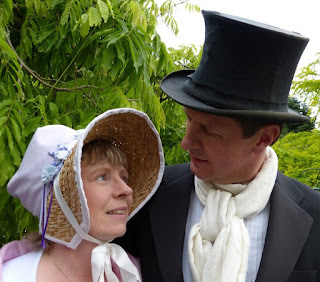 I love Jane Austen’s novels and I know something of Jane’s life and period. I certainly ought to, as one chapter in my new book (What Regency Women Did For Us) is given over to my favourite author! However, I am not a literary critic and have never sought to pull Jane Austen’s novels to pieces in search for greater meaning. I accepted this review copy on the basis that it promised new insights into the novels through greater knowledge of the period in which Jane Austen wrote. As a Regency historian, I decided to hear what Kelly had to say. The book opens with a chapter entitled ‘The Authoress’. An interesting decision to use the word ‘authoress’ rather than ‘author’. After all, Pride and Prejudice was originally described as being ‘by the author of Sense and Sensibility’1 not the authoress. This is followed by a chapter devoted to each of Jane’s novels and a final one looking at her death. Each of these chapters begins with a fictional section based on one of Jane’s letters which helped set the theme for the chapter. Although I found the book readable in style, I did not like all the content! Kelly argues that Jane’s novels are much more than love stories – they are revolutionary and tackle subjects which would have been seen as highly controversial at the time they were written. Different chapters look at subjects such as the failure of men to provide for their female relatives, the corruption of both the clergy and the nobility, the slave trade, and poverty and the corn laws. Though I am ready to accept that Jane was highly influenced by the times in which she wrote, I remain unconvinced that she wrote just to be radical, dressed up in a story. To challenge and instruct as well as entertain maybe, but I personally still believe she was first and foremost a storyteller. More than a mock Gothic novel? Although I have read The Mysteries of Udolpho (you can read my guide to it here), I can’t say I know it very well, therefore I appreciated Kelly pointing out that the links between Mrs Radcliffe’s Gothic novel and Northanger Abbey were even stronger than I had realised. Jane’s original readers would have seen all the parallels that the modern reader misses, and these would have been even stronger if the book had been published straight after it had been written, rather than years later, after Jane’s death. However, Kelly lost me completely when she started suggesting that all the bedroom scenes in Northanger Abbey had sexual connotations. I prefer to leave Northanger Abbey as a clever play on the Gothic novel. In the chapter on Sense and Sensibility, Kelly suggests that Jane was indirectly criticising the men in her family for failing to provide adequately for the women who were dependent on them – Jane, her sister Cassandra, and their mother. I already knew how hard Jane had found it when her father suddenly decided to give up the living at Steventon and uproot his family from the only home they had ever known and settle them in Bath, but I had never really considered the alternative. 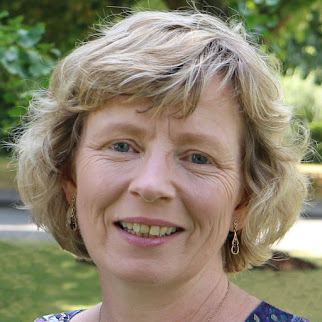 Kelly writes that Jane’s father need not have given up the majority of his income to his eldest son – who, by the way, already had the means to support himself – but could have hired a curate to help him and retained most of the income to support his wife and daughters. Another question that I had never asked was why, after the death of Jane’s father, it took Jane's rich brother Edward Knight four years to offer his mother and sisters a permanent home. However, I found little sympathy with Kelly when she began trying to read sexual meanings into Edward Ferrars’ behaviour and implied he was no better than Willoughby. It certainly does not help me enjoy the novel better. Edward might not be a Darcy, but he is a man who has been downtrodden by his mother, and if Eleanor loves him, who are we to question her choice? Despite what Kelly suggests, I retain my right to believe that Edward and Eleanor could live happily ever after. Pride and Prejudice is my favourite book and I dare anyone to spoil it for me! Fortunately, Kelly does not try to undermine the characters of Darcy and Elizabeth, but rather draws attention to the underlying prejudices of the novel which are far more revolutionary than a modern audience appreciates. In Jane’s time, there were deep-rooted prejudices in favour of the nobility and the clergy. Pride and Prejudice undermines both, in the persons of Lady Catherine de Bourgh and Mr Collins. Could Lady Catherine really be a sensible person to appoint Mr Collins to the living at her disposal and then actually welcome his irksome company? When the contrast is drawn between the noble Lady Catherine’s behaviour and Elizabeth Bennet’s aunt and uncle, the Gardiners, who are in trade, the reader’s conclusion is inevitable: good breeding has nothing to do with titles. 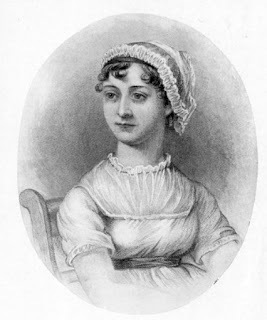 Mansfield Park has always seemed a more serious book to me than Jane’s other novels, but I had not made the connection between the names used in the book and the campaign for the abolition of the slave trade. The very name of the book – Mansfield Park – links the book to Lord Mansfield whose judgement ‘removed the practical basis’2 on which slavery rested, and the hated Mrs Norris shares her name with a notorious slave trader. 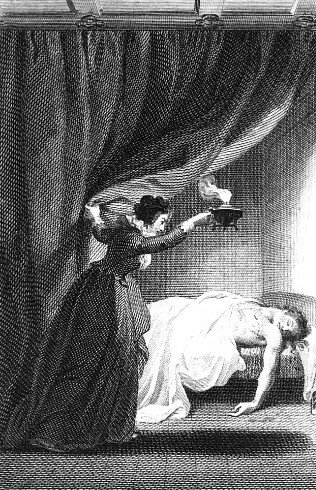 When Kelly is discussing Willoughby’s visit to the Dashwoods in Sense and Sensibility when he believes Marianne to be dying, Kelly states that Willoughby ‘turns up at what he thinks is Marianne’s death-bed intoxicated (“yes, I am very drunk”)’3, quoting Willoughby’s own words. However, she totally disregards his next words – ‘A pint of porter with my cold beef at Marlborough was enough to over-set me’4 – indicating that Willoughbly was being sarcastic and most definitely in his right mind and not drunk. Kelly also talks of Edward Ferrars’ education and writes “Why send him to Exeter?”5 But surely it was not Exeter where Edward was educated but at Longstaple near Plymouth at the house of Lucy Steele’s uncle, Mr Pratt. There are many more comments I could make on this book which, in my opinion, is a mixed bag of fascinating insights and unhelpful suggestions that I could have done without. You may discover, as I did, some real gems that take you closer to Jane’s world, but if you love Jane’s novels as the love stories they are, then you might not want to take the risk! Who was Wellington’s ‘dearest Georgy’? 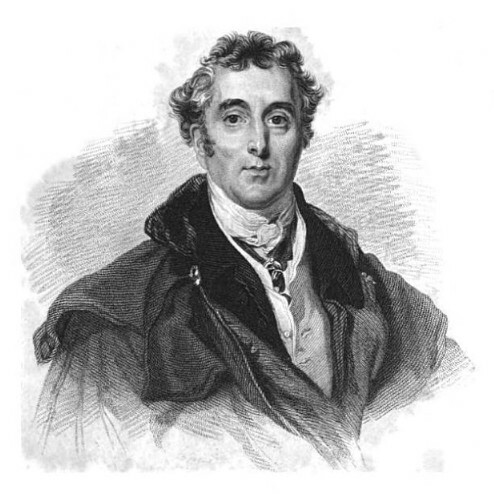 Every Regency historian has heard of the Duke of Wellington, but who was his ‘dearest Georgy’? 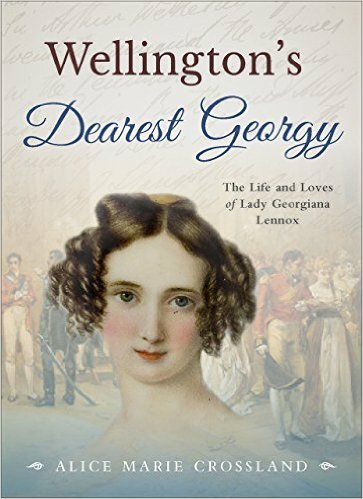 In this new biography, author Alice Marie Crossland paints an engaging picture of the little-known Lady Georgiana Lennox and her intimate friendship with Arthur Wellesley, 1st Duke of Wellington. 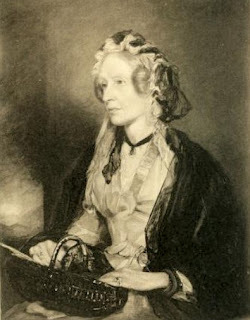 Lady Georgiana Lennox (1795-1891), known to her close friends as Georgy, was the third daughter of Charles Lennox, 4th Duke of Richmond, and his wife, Lady Charlotte Gordon. As well as her relationship with Wellington, Georgy’s other claim to fame is that her mother, the Duchess of Richmond, held a celebrated ball in Brussels on the eve of Waterloo. Georgy’s story appealed to me on many levels, not least because it had a happy ending. Crossland depicts Georgy as a vivacious, highly sociable lady who became the close friend of the Duke of Wellington when she was only a girl. It was an intimacy based on a shared wit and sense of humour and one that was deep enough to lead Wellington to give Georgy a miniature of himself on the eve of Waterloo. Perhaps if the Duke of Wellington had been unmarried, Georgy, although some 26 years his junior, would have become his duchess. As it was, their relationship appears to have remained platonic, and Georgy watched as his mistresses came and went, whilst she retained a special place in Wellington’s heart. The combination of Georgy’s infatuation with Wellington combined with the impoverished state of her family’s finances meant that Georgy struggled to find a husband. It was not until she was nearly 30 that she eventually fell in love and married. Her husband was William Fitzgerald-de Ros, a man whose elder brother Henry repeatedly scandalised society with his behaviour which included the disgrace of cheating at cards. As the third son, William never expected to inherit the title, but after the death of both his elder brothers, he became 23rd Baron de Ros. William and Georgy had a happy marriage that lasted almost 50 years. Crossland had a distinct advantage when writing this biography – the full support of Lady Georgiana Lennox’s descendant, Peter Maxwell, 28th Baron de Ros, who gave her access to the family papers. Though perhaps not as technically well-written as the biography of another Regency-era woman that I read recently (Defiance - The Life and Choices of Lady Anne Barnard), I confess that I enjoyed this one more. Part of this was due to Crossland’s passion for her subject which spilled over into her writing. I found the front cover of the book very appealing. My copy was a hybrid between a paperback and a hardback – a double carboard cover that gave a nice feel to the book although technically it was still a paperback. I feel, however, that some of the internal presentation let the book down. Little things, like having page numbers on the title page and blank pages, inconsistent gaps around dashes and hyphens, and speech marks that were formatted inconsistently. The story was interesting and engaging, but it would have benefitted from additional editing. A few inconsistencies and inaccuracies crept into the text that tighter editing would, hopefully, have noticed. I know how hard it is to get all the facts right. I have just written my first history book (What Regency Women Did For Us) and I freaked out when I discovered a couple of glaring errors at the final proofreading stage. I don’t think that it is fundamental that Georgy would have been 11 years old rather than 9 when her father became duke as stated in the text. Nor is the inconsistent representation of the character of Georgy’s husband, William Fitzgerald-de Ros. When he is first introduced into the story, William is described along with his brother Henry as being a hard-drinking, womanising man, but later Crossland draws a sharp contrast between the wild Henry and his reliable brother William. I was, however, somewhat surprised to read that Georgy and her sisters were presented at court in 1813 and that her sister Sarah had dialogue with George III. Why? Because this was during the Regency and the mentally unstable king would have been shut up in Windsor Castle by this time. I have some sympathy with the author as I followed her notes to the source – A Sketch of the Life of Georgiana, Lady de Ros, by her daughter, Blanche Swinton. Crossland was perpetuating someone else’s error. It is a warning to all us historians not to take everything we read as fact. I wrote a blog post about an illustration of a ball at Almack’s that was dated 1815 and how it just could not be correct. Although it was reasonable to assume that Georgy’s daughter knew what she was writing about, the dates had clearly got muddled, and a little sense checking would have revealed her mistake. Having a beta reader or editor who is familiar with your period of history helps eradicate errors like this. I don’t know how many reviews look at a book’s index, but for a non-fiction book, this is an important area. If a historical biography is going to be a useful research tool, it needs to have a good index. I hope I never want to look up anything specific in this book in the future as the index is not very helpful. Not even the bigger entries like those for Georgy and Wellington are broken down into any sub-sections – not very user-friendly. In conclusion, I found Wellington’s Dearest Georgy an enjoyable read about Regency life which would have been even better with some additional editing.